Taking place 6 months after the last movie, Marty McFly tries to stop the bank to sell out Doc Brown's stuff in his laboratory but he was too late, but then as something strange noise was heard outside, Marty notices that the DeLorean is back ! but with no Doc Brown inside ! just his dog Einstein ! and now Marty must figure out what has happened to him... that is if he can find him first ! To be completely honest, this game is balanced when it comes to its quality, the whole story has that great charm that the movies included, while there are some moments that does stray on the fanservice way too much that makes it noticeable and forced, they're not very long or too frequent, so I do think that every fan of the movies will enjoy it and maybe including the ones that are not ! however I did have some problems with it, since the story has some small to big plotholes in it that just really feel like they were there just to keep moving the plot, while there are some that kind of made sense to them by explaining them, they either just made it so to deal with it or there isn't any at all ! But I just can't be too harsh about it since the story consultant for this game was Bob Gale, one of the co-creators of the movies ! so as I can see, the game has a great story but it just has some troubling plot issues. 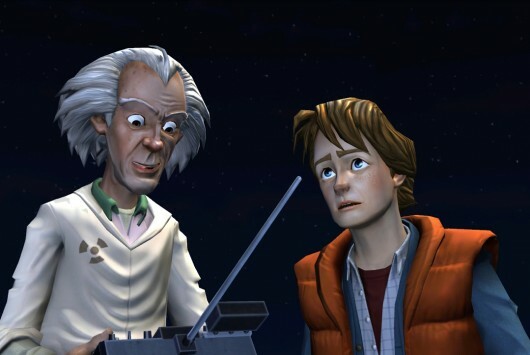 Back to the Future: The Game is a Point-and-Click Adventure game, and this being a bundle game you will receive a demo of the first Episode, the unlock key to unlock the full Episode 1 game, and four more episodes, and they all only use the Dualshock 3/Sixaxis controller (in which it's kind of weird since the Playstation Move controller looked appropriate for this one...). 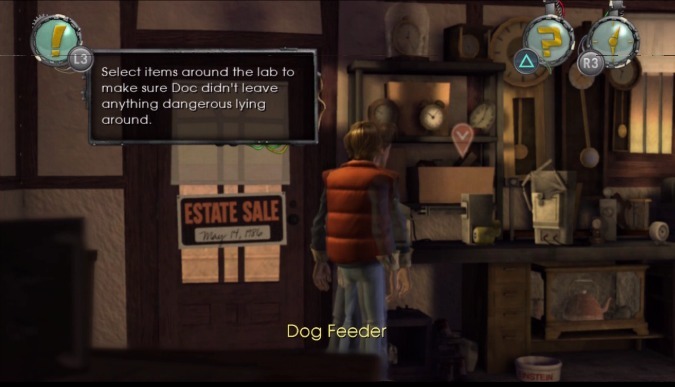 You play as Marty McFly and the objective of the game is to complete all of the current goals that you will be put on in each episode, and in order to complete them you must do some puzzle solving by either interacting with the environment, use the right item to make an event happen so that it can benefit you to accomplish a goal, talk to it out of your way to continue or all of the above, you can control Marty with the left stick and the directional pad, and you can choose the available objects to interact with and also the people that you can talk to with both the right stick and the L1 and R1 buttons, hold the R2 button to highlight the available interactions in the environment, pull up an item with the square button and then use it with the cross button, ask for a hint with the triangle button, run by holding the circle button, select an interaction in the environment with the cross button, a resume of the Episode's story so far with the R3 button, and you can see your current objective with the L3 button.. The controls are allright, it's just that I had some problems I had with them, for example where I wanted to choose an object in the environment but I couldn’t just reach it because I wasn't in the correct position to interact with it, or when I choose an item in the inventory, you must force yourself to walk if you're far away from the interaction since if you press the circle button to run, your item in your hands will be removed and go back to the inventory. There are also some minor but still questionable control issues where when you go to another area and the camera changes angle while I still held a direction with the controller, the character will keep going to the same direction, regarding on what direction your holding, and if you move around the stick while still holding the stick, the character will move in another direction that might not go to where you want to (in other words, if you hold up and the camera changes to the left and you are still holding up, the character in the screen will still go left, even if you still hold the stick up, move around, and the character will move in a direction you don't want him to go) but it can be fixed when if the camera changes, stop moving and then move again and you will move normally, but as for the rest, it has its problems, but it can be adapted to them later on. 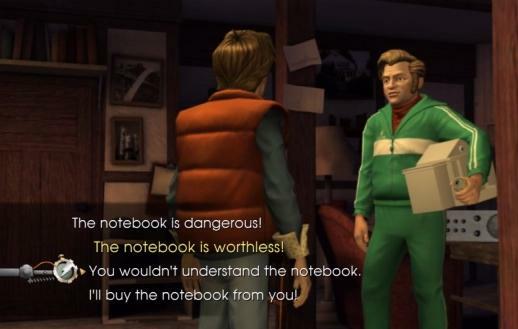 Being a point-and-click adventure game, I thought all of the puzzles were clever and tricky, but not in a bad way mind you, while I did thought that some puzzles are exaggeratingly senseless, others are just made in a great and well-made brain scratchers ! to the point it made me say "wow... how come I didn't noticed that ?...". However, I did heard that veterans of this game genre say that this game was too easy, so I just speak by my words from someone who didn't played that many point-and-click adventure games. The game can also change its genre a little in some cases, since there's a moment where you must use the left stick while looking at something to move the camera and see any interaction that you can activate that's not normally on the camera, but there are not that many and they can be pretty short, but it wasn't bad for a little change of pace. The game was playable for me, even with it's strange issues, some of the puzzles were all enjoyable and brain scratching, and it was pretty much entertaining from start to finish ! The graphics do look very nice, although it might look somewhat outdated to some people, the character models on the other hand, does its job amazingly ! they might look somewhat cartoonish, but you can still spot some of the familiar characters from the movies ! the game also does its job nice and right when it comes to other things such as the lightning effects, and the whole settings look right when comparing to the movies, but I did find some noticeable issues like an awkward shade position one time I was looking at the cutscenes, but it's forgettable since they just appear that quick and doesn't stay for too long. 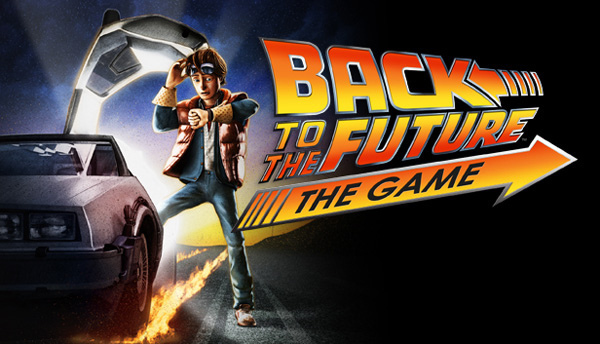 As it's probably obvious, the soundtrack also supports most of the music from the other movies such as the main theme as well as the end credits song in the final episode is "Back in time" by the Huey Lewis and the News, the same credits song from the first movie, but it’s not only that since there are also some composed songs that are spread throughout the game that was inspired by the movie's soundtrack, while also supporting original tracks and song with lyrics as well, and I must say, while the soundtrack won't grab much to your attention in some cases due to the gameplay, it's still a great soundtrack that manages to be a great reminiscent from the movies and even as for its own ! The sounds are fine, as again, while some of them like the sound of the DeLorean going to a time portal does sound similar to the movies, most of the other sounds are just ok, they're not bad but they've could've been a little to somewhat better than what they are. This being part of a movie franchise, you would expect this one to be not good, but in reality, not only because this game has some good gameplay (or acceptable to some people) that many movie licensed games lack of, but it also captures the good spirit of the movie's charms that many I love from ! the setting, the atmosphere, the character development, everything that I loved in the movies was very well handled and presented here, and I should really thank the developers for doing an amazing job recapturing the whole good things that the movies were loved for ! The whole bundle costs $19.99 on the Playstation Store, if you're a huge fan, the price is well spent, but if you're not, you either might think otherwise or you might think that it's a little overpriced. Not much of a Beyond The Fence since the Wii port is identical including the graphics. Why not post this as a regular Wii review instead of as a feature lol? Ok, for those of you asking why I didn't reviewed this game on the Wii is because for one, I don't have the Wii version due to a misfortune. And second, this game is actually different in terms of control and presentation terms from what I've heard, such as in this game you play it with a controller and in the Wii version you play it with the IR pointer of the Wii remote (in which this game doesn't include any), so opinions may vary when it comes to reviewing the Wii version, meaning it could be better, worse or just the same. Back To The Future is awesome!